When Wii U is released, you'll be able to play games from each of Nintendo's home consoles thanks to a mixture of backwards compatibility and the Virtual Console. With one exception. No, not Virtual Boy. Currently GameCube has no place on Nintendo's first high definition console, that we know of: only games on systems up to Nintendo 64 are available for download, and the disc slot won't accept GameCube's miniature disks, just like the later model of Wii. GameCube was the handle-sporting mini-Hulk of the sixth console generation, boasting power far beyond what you'd expect from its toy-like exterior. Despite its third placing in the console wars of the day, it was home to plenty of classic games that we'd like to see return on Wii U. Is the system about to be thrown into a dusty corner, treated like the purple-cased odd one out? We doubt it. Here's how Nintendo could approach GameCube support on Wii U. Last year a Nintendo of America executive suggested that digital downloads were the answer for GameCube games going forward, but since then we haven't really heard anything. It makes a lot of sense: Nintendo already has a pre-existing framework that GameCube could slot right into in Virtual Console. Decades of Nintendo titles all available with a few clicks through the eShop, now expanded into the 2000s. On Wii there were file size constraints that prevented this from happening. That shouldn't be a problem any longer on Wii U. 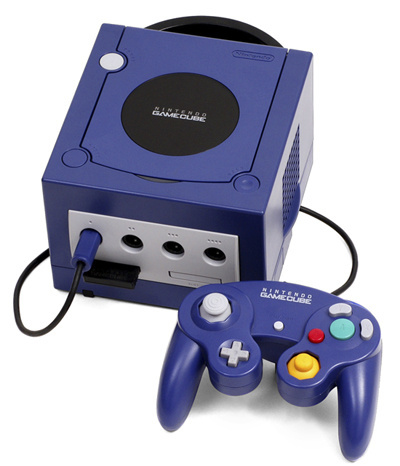 We're still uncertain of the exact amount of on-board storage contained in the system – rumours continue to suggest 8GB flash memory, confirmed to be expandable via SD cards – but considering Nintendo's decision to release games simultaneously on disc and as digital downloads, it seems a fair bet that there won't be any problem putting some GameCube titles online. Single disc GCN games generally come to a comparatively slim 1.4GB, which shouldn't pose any issues if full retail titles are on the way through the web. Nintendo might, however, want to take advantage of the HD capabilities of Wii U. There are certainly plenty of GameCube candidates that would be ripe for an upscale, most obviously The Legend of Zelda: The Wind Waker, with its timeless art style that would look glorious in high definition. Instead of sticking solely to the digital route, perhaps Nintendo will look to the approach that Sony has encouraged on PlayStation 3: remastered HD collections. Similarly themed or franchised games could be bundled together at retail to give them more exposure, introduce them to new audiences and sneakily plug in gaps in its release schedule cost-effectively. It's not like this hasn't been done before: Wii was home to the New Play Control! 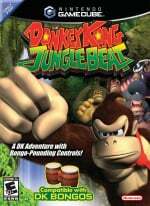 series, bolting Wii Remote motion or pointer controls on top of existing GameCube titles. That approach might well make a comeback; games' visuals could be spruced up, but perhaps these titles could also take advantage of Wii U GamePad and other system functions. So, in an ideal world, which GameCube games would we like to see return, whether on Virtual Console or in full-blown HD remaster form? Omitting those already re-released on Wii under the New Play Control! banner or philosophy — the Metroid Prime Trilogy, Donkey Kong Jungle Beat, the Pikmin games – as well as the aforementioned The Legend of Zelda: The Wind Waker, there are still plenty that we'd love to play once again. Viewtiful Joe, Eternal Darkness: Sanity's Requiem, Super Mario Sunshine, killer7 and F-Zero GX are all well-known and held in high regard, but there are lesser known titles that deserve another shot too: Chibi-Robo, Geist, Odama, XIII. GameCube was home to some of the last good wrestling games in the WWE Day of Reckoning series. Titles such as Final Fantasy: Crystal Chronicles or The Legend of Zelda: Four Swords Adventures could also have some kind of GamePad related future. 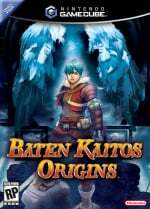 There were regional splits for the releases of some titles as well: Europe never received Baten Kaitos Origins, nor the wonderful Cubivore: Survival of the Fittest. 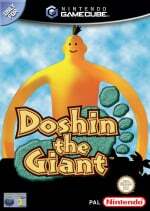 North America didn't get Doshin the Giant. Neither got GiFTPiA, Skip Ltd's Animal Crossing-like RPG. Wii U re-releases could be a great way to provide this content to territories that previously missed out. How would you like to see Nintendo deal with the GameCube back catalogue on Wii U? Which games would you like to see return? HD remasterings would be great though - but I doubt Nintendo would get into that..comparable to the 3D-Classics situation. This would be awesome, but I do hope that at least most of the current Wii VC will be availble for Wii U at launch. I love this article. I lost all my GC games when I moved and it's really hard to find GC titles in Australia in Good Condition so I would happily pay for digital GC titles. I'd be happy for an HD remake of Wind Waker, Wave Race: Blue Storm & F-Zero GX too, that would be awesome. Unless they have a way that I don't need to repurchase them, i'll just buy a new gamecube. Games like ToS, LoZ wind waker, and baten kaitos, I would love to have on Wii U to play them instantly. omg! cubivore was such an awesome, fun game! very different, sort of quirky looking, but great. I like to have see GC games in virtual console and HD remastering wouldn't be bad either for some classic games. I like to see lot of different GC games because there is plenty of good games that i missed out on GC era. Depends on the price and what they offer. Otherwise, I'd just keep my Wii and buy used GC games. I still have my Gamecube and my Wii so this isn't a big problem for me. WWE Day of Reckoning I and II were awsome. Hopefully they make digital downloads for these GameCube games. Ain't no future if we don't have analog shoulder buttons. I still have my Gamecube with me, but I'd be happy to purchase VC Gamecube games if it brings money to publishers. While it may taint the Gamecube experience that I can prolong, I feel obligated to show my appreciation. As I understand it, there's a big technical problem here that might be a tragic oversight by Nintendo: according to current reports, the Wii U's gamepad and Pro controller do not feature analog shoulder buttons. That would mean breaking key functionality on many GC titles, including my personal favorite, Mario Sunshine. This problem has me concerned. It's kinda pointless when the competitors are now selling these games for digital downloads, and for a good reason too. Just release the GC games as DL games. There is absolutely no need to give them an HD remastered version. 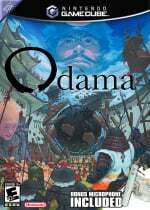 I love Odama... it would be great with Wii U's integrated Microphone, too. Too bad Nintendo hasn't thus far shown ANY interest in making technological updates for their classic games. 'Tis a bloomin' shame. @15 The WiiU classic controller pro says hi. The WIiU Controller Pro says... bye. I have a HUGE Gamecube collection. I don't like the idea of buying these games again. For this reason I think I am going to keep my current Wii (with Gamecube compatibility) "if" I decide to get a Wii U.
I know, I know the Wii U looks like it will be a great system and I am a huge Nintendo fan (hence my large Gamecube and Wii libraries) but I also have an Xbox 360 and with Smartglass tech I don't think I am going to rush out a get a Wii U a launch. I still have a ton of games I have to get caught up on the Gamecube, Wii and VC. @22 You think you smart! I've heard rumors of GameCube games being available to download on the Wii U. Usually Nintendo shoots down untrue rumors faster than Duck Hunt and I haven't heard any denial regarding the GameCube downloads. There really isn't a whole lot on Gamecube I'd want that wasn't already ported to Wii. 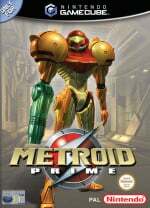 Metroid Prime Trilogy covers those games, Pikman 1 and 2 have both found their way in all territories as well as various other titles. Notable exceptions would be Super Smash Bros Melee, Super Mario Sunshine and Wind Waker. All I'd really like to see in HD, not as remakes, but as enhanced ports via Virtual Console. Considering the smaller line up of worthwhile games on the Cube, this seems the likely option to me. Smugglers Run: Warzones - the best driving game ever! I was still playing these when Wii was at least 3 years old! @firearrow505 It's true! Both controls have digital triggers that have been confirmed from several Nintendo reps and people who did hands on at E3. @Gamesake Not sure of all the games but off the top of my head, Mario Sunshine, Luigi's Mansion, F-Zero GX, Smash Bros. Melee, a couple Mario Party games... I'll come back in a bit. From the moment Nintendo said Wii U wouldn't be GC compatible I was sad. However this means that my Wii will be set up under the TV for many, many years to come. It's up to Nintendo to step up and deliver me a better game then "F-Zero GX" for me to stop playing GC. And since it's likely they will never make another "Rogue Leader", the Cube stays on. And yes, those two games are awesome, here is a vid I made of "Spartan" a few years back http://www.youtube.com/watch?v=Ty9_Onfo6rM pick it up right now! Nintendo don't leave out that purple box with the handle that I still play. Ah, I didn't see that you beat me to the topic of analog buttons. But even though the Classic Controller might be an option, as some have pointed out, that still means we won't be able to play these game directly on the gamepad, which is disappointing. I'd like a little portable GC in my living room on that screen. I suppose it won't be happening. Spartan was like one of the last games ever to be released on GC I think - at a time when the GC stands in GAME shops were very tiny and mostly selling 2nd hand games. The playability, story and music were excellent! Smugglers Run Warzones had a fab multiplayer with insanely clever AI. . . . Both the Gamepad and Controller Pro have digital as of now unless they decide to change them before release. Nintendo better find a way to use GameCube games on the Wii U, or else i will be heartbroken. They should bring the games on Wii U anyway. They were good. I would like to see super mario sunshine or sonic adventure 2 on there. They should simply release a more expensive version of the Wii U with full backwards compatability at a higher price in limited numbers. Plenty of people would be willing to pay a little extra to have access to their retro library on one machine. Downloads won't work for me. For a start there's the principle of it - I've already paid literally thousands for these games, so not paying for them again. Secondly, several games won't make an appearance due to licensing issues. Will Rogue Leader get a release now that Factor 5 have gone bust? What about games like Twin Snakes, the entrie Resident Evil series, Ikaruga, Skies of Arcadia, Crazy Taxi (with original music and destinations), Capcom Vs SNK 2, Twilight Princess with pad control, Tales of Symphonia, Phantasy Star Online, Megaman X Collection, retro compilations from now defunct companies and any game based on a license from that time? Will they ever get released? If so over how many years? Would a Wii U even have enough storage space for them? The throwaway history of gaming really sickens me sometimes. Any self-respecting fanboy should have a Gamecube (or seven) anyway. if you don't, now is the time to buy one because they are cheap as chips. Naw, like the GBA, I'm good on most Gamecube games, so I'd only use it for one or two games and that's it (Kirby Air Ride and maybe Billy Hatcher). Even then, I'd probably just use its digital release as an excuse to buy the Disc version. HD remakes, eShop digital downloads, anything would make me overjoyed. The Gamecube is my favorite system, ever. How do you know that the shoulder buttons are digital and not analog? Did you actually try any of the controllers before making that judgment? Both controls have digital triggers that have been confirmed from several Nintendo reps and people who did hands on at E3. make both digital and physical copy versions available. and i agree with those that say these should be released like a nintendo selects collection for the wii. There's quite a lot of GC games I would buy if they made them available on the WiiU. I'd love it. Yes, they should do this. 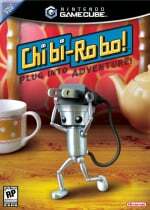 I would love to play Chibi-Robo... Period. 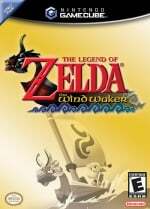 I think Legend of Zelda Windwaker should be part of an HD re-mastered collection along with Majora's Mask and Link to the Past. You could also have a non HD 3D version of the game as well for the 3DS. I'd like to see F-Zero GX as an HD remaster as well as Viewtifyk Joe. The other could be as digital downloads. So a mix of the two. Nintendo need to do this as it would appeal to the traditional gamer sector as well. I'd love to see Fire Emblem and Paper Mario. I'd also love to see some Wii games that haven't been released in the EU made available on the Wii-U e-shop, such as Mario Super Sluggers and Excite-bots. Analog shoulder buttons aren't really... I don't think you can emulate them on a touch screen. They were pressure sensitive, as the game would know how much you pressed the button down. Where as digital you either press the button or you don't. HD remasters would be nice; download or disc-based. I would dearly love to see Mr. Driller Drill Land get a worldwide release on the Wii-U. Truly a treasure and the main reason I bought a Japanese Wii. This may be greedy, but for the Wii U, I would like to see them work on batches of VC games all at once and release them whenever they are ready. No more of this "dribble them out one a week, when we feel like it." Just, "Okay, we've got the emulations of ten games done. I'm going to put them up for sale." Exceptions would be for games like Wind Waker, which would be enhanced. I, too, would love for a couple Gamecube games to get some extra love besides a simple VC version. Wind Waker, in particular, would be fantastic with an HD makeover and would take very little effort. It looks amazing in HD and the style is, indeed, timeless. Many of the textures go blocky at high-res but they are very simple textures to make hi-res versions of. Also, now that the "controversy" of the look has blown over, more people are likely to check it out. I could see a Mario Sunshine with the Gamepad used for water aiming maybe? I kinda don't like the water mechanic as it is. It's inventive, but not very fun compared to other Mario play mechanics. 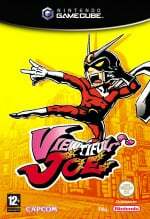 Am I the only one who thought that Viewtiful Joe was pretty, stylish & funny, but not necessarilly fun to play? 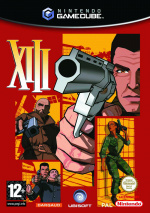 I mean it was OK, but wasn't it...you know...just a beat-em-up (ocassionally a shoot-em-up) with a bullet-time mechanic? I don't know, maybe it's just me? But I've owned that game for years now and still haven't found the will to finish it. If I'm allowed to dream...Wind Waker - 1080p with optional GamePad or Skyward Sword style MotionPlus controls, and a Master Quest mode that includes the extra dungeon they had to cut out the first time. Rogue Squadron - A compilation of the best missions from all three games (N64 levels remade with GC graphics), 1080p with some optional motion/pointer controls of some kind. Resident Evil - If they still have all the stuff to make those pre-rendered backgrounds stored somewhere, dig 'em up and put them back together to work in 1080p. Try to keep the camera angles, lighting and composition the same. I guess you'd want to have it in widescreen now; cropping the top and bottom (and therefore quite a bit of the awesome art design) would be a shame, though I guess the upside might be it would heighten the sense of claustrophobia. Eh. What, like eight games would get released? There's still plenty of N64 games unreleased. My hopes are low. I can definitely think of a few Gamecube games I would love to buy digitally. I would be especially interested in the more expensive/rare games like Tales of Symphonia, Fire Emblem, Ikaruga, and Skies of Arcadia. Of course, I want plenty more than those, I've been itching for a good reason to replay Chibi Robo for instance. What I want to know is how much these games would cost. Following the current VC model, they might be $15 each, and I for one wouldn't re-buy a single game I already own for that price (though games I didn't own yet would still be fair game). Also, does anyone else wish Nintendo would follow Sony's example and include full scans of game manuals with downloadable games? I probably wouldn't use them much, but they would be perfect for the Wii U. You could check the manual on the remote screen while the game is paused, just like if you were checking a real manual. Plus, I'd love to flip through some of those old SNES and N64 manuals. No mention of Metal Arms: Glitch in the System? 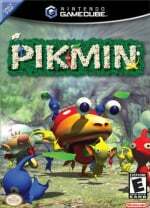 With some sort of netplay component, that underrated gem would become a multiplayer staple! And of that list, I've played the pikmins and the metroids. baten kaitos doesn't count, personal reasons. I would love to see these on VC! @SilverBaretta My friend played Metal Arms, and I always wanted to give it a try after looking over the Nintendo Power ads a zillion times. I wouldn't buy it without online, though. I'm going into the Wii U assuming that they have a plan for the Cube, and digital downloads will probably be the way to go. I'm sure as we get closer to launch they'll make an announcement saying the GCN will be added to the VC on the new Nintendo Network. This would seem to open the door for Saturn and Dreamcast downloads too perhaps? @Mickeymac Even if you decided to go give a try right now, it wouldn't set you back much. I got it for 4 dollars at Gamestop of all places. Some HD remasters(that includes Wii games) and some downloadable games. Mario Party 6/7 would be good too but I guess not as necessary. Also I hope that my gamecube controllers will still be compatible with the WiiU, though I doubt it as I've never heard any confirmation that they will be, just the 'pro controller'... and I'm not sure how that compares! I want widescreen & HD resolutions though otherwise I'll just hookup one of my 4 Gamecubes. ... or it will be none of those things. I'd expect that more than anything. It plays Wii games and there are cube games re-released for Wii as mentioned there, so get those and stick them in your WiiU. I can't see them saying more than that or maybe releasing 4 or 5 big first party games on VC a year or two after launch. I wish I had more faith in Nintendo, but I've lost a lot of it as they failed to embrace the 21st century. don't expect any advertising or special deals for them either, why would you want people to actually WANT to go to the WiiU online store? Just give me Mario Sunshine 2 and we'll call it even. I ain't even mad about analog triggers if they give me a proper sequel. Put Koizumi on it at once. Zelda: Wind Waker remixed in HD and using the WiiU Game Pad to serve as the second screen for the Tingle Tuner? Yes, please! They should make an Okami HD version! The Wii U is perfect for it! 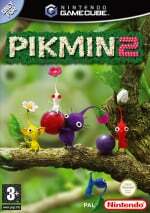 Nintendo, please get Capcom to get this version released before Sony's! Here's an idea keep your Wii if you have an older version or pick up a Gamecube than you dont have to worry about GC games coming or not coming to Wii U.
Chibi Robo and Geist were the majority of my childhood summer. I would like to see those return on Wii U in some form. They really do need to digitize the GCN library! I would buy more GCN games than wii games easily. The WiiU should be able to play gamecube games if it can play Wii Games. The only reason why it doesn't is because it doesn't have the gamecube ports, and Nintendo doesn't want to emulate the gc controller with the tablet or pro controller. They could have done the emulation with the Wii but didn't so its no surprise that the newer Wii and WiiU which both lack the ports don't support it. Its sad that Nintendo always takes the easy way out instead of investing more into their systems to push it too its full potential. At least we are getting full backwards compatibility with the previous gen (Wii). That's more then can be said of the 360/PS3. I would love to see Gamecube games on the VC. Though I would be more likely to buy them if they included both widescreen and HD support. Adding "New Play Control" ('mote and 'chuck please!) 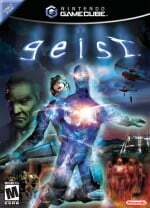 options for games like Geist would make them an instant buy. I would rebuy Eternal Darkness just to support that game in hopes that it would one day get a sequel. Make it so Nintendo! but I'd love to see SOUL CALIBUR II in HD.. It could be better a GC controller and memory adapter to use them in the Wii U and use retrocompatibility with GC discs but all we know Nintendo won´t do it. I hope GameCube links with WiiU. Game Cube would look great rendered in HD. Like the N64, I don't think Wii-U would have any problem rendering Game Cube graphics in HD. Super Mario Sunshine would look gorgeous. By the way, in the original game, you push the button partially down to run and spray at the same time, and push the trigger button until it clicks to stand in place and spray. It would be possible to use both triggers to spray, one to spray while running and one to spray while standing still. Other games, such as Sonic Adventure, actually used the analog triggers as run buttons to control speed. That would be a little more difficult to pull off. BTW, didn't the original Wii Classic controller have analog triggers, despite never being used? It seems like a serious oversight and a step backwards to me. I'd rather not have to re-buy all my GAMECUBE games digitally just to play them on the WiiU. I'm going to keep my Wii, and turn it into a "Gamecube". @JayceJa You don't even need memory card slots - they could just let you save in the Wii U's internal memory. Granted you'd lose your saves and might have to play through a few titles again, but it's a small price to pay - infact I'd quite enjoy doing that. Aanyways, it IS a problem that there's no analog shoulder buttons, but I think Nintendo will find work-arounds for it, for example edit the games for twin digital shoulder buttons when needed, as StarDust suggested. @StarDust Indeed, the original Classic Controller had analogs. @madgear They do that for PSOne games. Not a bad idea. I don't care that the Metroid Prime Trilogy was rereleased on the Wii, I want a rererelease in HD!!!! Thankfully, there are plenty of Wii's out in the wild, so we won't need to worry about not being able to play physical Gamecube games 20 years from now. My NES and SNES are both over 20 years old, and still work! Doesn't really matter to me because I still own my Gamecube and all the games I ever wanted for it. @sebman30 You have one creative scheming mind. Too bad they want to make as much money they can, and they know that Gamecube on VC will sell. 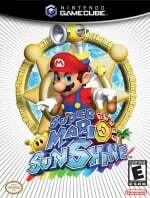 Tools like me who already own Mario 64 on N64 have bought it on Wii, so why wouldn't we buy Sunshine on Wii U? @sdcazares1980 yes there is. many HD games look better on HD TVs. plus, if these are cheap, , many gamers will be getting a great value for them. 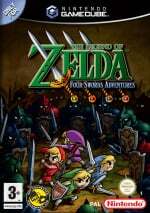 Good news, more games in the Virtual Console/E Shop is always a bonus, Gamecube had some great games. I've still got my all my GC games though, i'd be a lot happier if they added Saturn and Dreamcast plus if reports that Nintendo are offering big percentages on online games they'd be mad not to. Plus the pro controller looks perfect for dreamcast games. man make these games online and we got a deal for re-download if not ill just get the classics that i always wanted but never had the chance to get. Is it just me, or do the N64 games on Wii VC have upgraded resolution? Couldn't GC downloads also just have better resolution without any fancy editing of the original code? That sometimes happen to me too, it looks like it has posted it double, but when you reload the page it's actually just one post. I'd stick with my old Gamecube if they chose not to release GC games on Vc. I love the Gamecube<3. I always hang on to my old systems... sure I have an entire bookshelf busting full of 20 years of Nintendo goodness, and it's a pain to switch out each system when I went o play it, but I can't see buying all my games twice for convenience sake hopefully they re-release some more obscure, hard to find titles..
Of course I'd rather just play GC discs I already have but I'd buy Eternal Darkness (awesome game), Killer7 and a few others again. 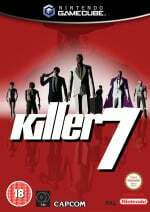 Killer7 for motion controlled aiming. @akabenjy Whol!, I sure hope they put Tak And the Power of Juju (GCN), Super Smash Bros, Melee (GCN), Mario Kart Double Dash (GCN), Mega Man X Collection (GCN), etc. & I would also like it if they made it, so that you can choose to either download the CGI/3D (such as N64, GCN etc.) VC games in HD etc. to. I couldn't agree more. Symphonia defintely deserves time on the Wii U and I'm glad you mentioned it. I fully expect to see GC games supported on Wii U via the eShop and if I don't I will be hugely disappointed in Nintendo's utter stupidity in this matter. I would love to see Mario Superstar Baseball released for the Wii U's Virtual Console. I would especially love it if you could play online--so I could play two-players with my buddy in another state. First of all the Wii U doesn't get GameCube compatibility because it doesn't need it, those disks of yours aren't going to last forever and Nintendo knows this, so they are going to port them over through VC. They know you will buy them because you are worried about your disks, more power to them! Disks are not going to last forever but digital does. Also people asking for games like SSBM or a Mario kart or party game need to shutup, Nintendo is not focused on remaking those, they are games that ADD with their next installment. My first video game was Metroid Prime: Echoes. Since then, my Gamecube died due to being overgrown with mildew in storage. I played Corruption on the Wii, which was a fantastic ending to the trilogy. I still haven't played Fusion, so that would be a great addition, aside from being able to purchase the Trilogy for the Wii (which I'm not keen on). I'd also like to see Spartan: Total Warrior added if the Gamecube games surface on the Wii U. As a Tech person I see no reason at all why Nintendo cannot develop an app that is a GameCube VC that when clicked it lets us who have a HDD plugged in, copy the ROM of my own mini DVD (GameCube disk) that Nintendo app sees it as copyright by Nintendo and copies it in a encryption way but playable to the VC and let us use the Game pad as the controller also letting us switch from TV mode to game pad viewing mode. As where all cannot be pirated but remain copyrighted by Nintendo. I would honestly buy a Wii U if they did this! My girlfriend and I are playing through Paper Mario for the Wii's VC. It'd be awesome to see Paper Mario: The Thousand Year Door eventually released on Wii U's VC.